A ring of controversial websites is charging people to pay for copyright registrations in the UK, Australia and elsewhere, even though it's a free and automatic right. In India, where there's also an official registration office, the authorities are taking legal action to stop what they describe as a "fraudulent" operation. In pretty much every part in the world creators can claim copyright on their work without having to register anything. In fact, most countries don’t even have an official copyright registration office. The United States does, as registrations are a requirement for court cases, but that’s one of the exceptions. The same is true for India. While registration is voluntary, an official registration at the Government’s Copyright Office can help to solve legal disputes. Interestingly the Indian Copyright Office has now become the center of a rights dispute itself. 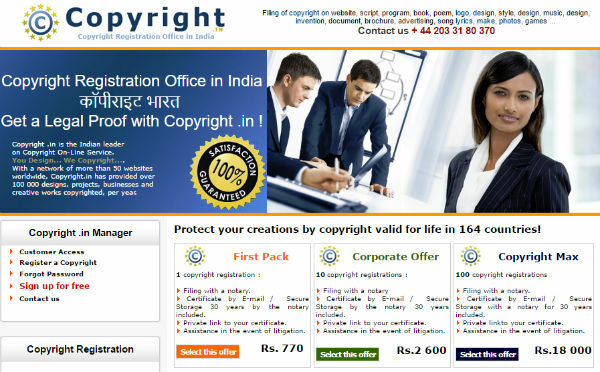 As it turns out, the website copyright.in is offering ‘unofficial’ copyright registrations to Indians as well. The website in question offer users “anteriority proof for their copyrights” in 164 countries, charging roughly $10 for a copyright registration. The Indian Government is not happy with the unofficial registration site. In a press statement it describes the service as fraudulent, because users can confuse it with the official copyright office. “This claim is totally fraudulent and creating confusion among the general public,” the Government’s press bureau notes. The Government clarifies that it has nothing to do with the site and advises copyright holders not to register their works there or make any payments. In addition, it has taken legal action and hopes to get the website blocked. “The matter has already been referred to the concerned Ministries to block the fake website (i.e. www.copyright.in) and initiate legal action,” the Government statement adds. The Indian copyright registration site is just one of many. The same outfit is also connected to similar sites that target copyright holders in other countries, many of which don’t have an official registration service. In Australia, Italy and the Netherlands, similar sites are operational, all offering paid registrations. The UK even has two separate domains, Copyright.uk and Copyright.co.uk, listing popular brands such as BT and Marks and Spencer to add legitimacy. Update (see also below): The company behind these sites refutes the claims from the Indian Government, characterizing it as defamation. We reached out to the UK Government’s Intellectual Property Office (IPO) which clarified that copyright holders don’t have to register anything. 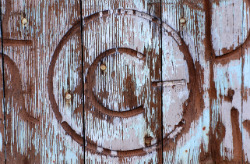 “Copyright is an automatic right in the UK – you do not need to register or pay a fee. If you create a work of art, from literature to music, you own the rights to that work free of charge,” an IPO spokesperson told TF. The IPO stresses that the websites have nothing to do with the Government and cautions rightsholders to think carefully before handing over any money. “A number of private companies can be found on the internet that offer a form of registration service for a fee. None of these are official or are connected in any way to the Intellectual Property Office. “We advise that people check very carefully before opting to use any paid-for services such as these,” IPO’s spokesperson adds. 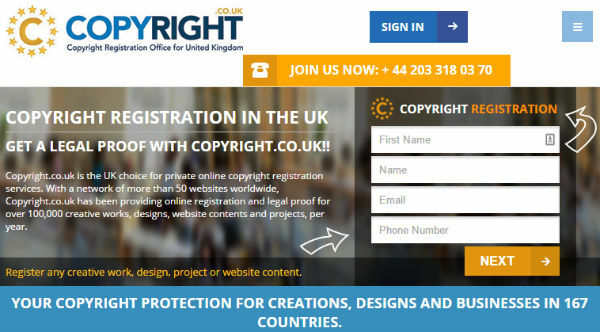 While it’s absolutely not required to register copyright in the UK, the websites in question are not necessarily breaking the law, since there’s no law forbidding private companies from keeping a copyright register. That said, the registration sites conveniently fail to mention their voluntary nature and could be confusing creators who are not up-to-date on their rights and obligations. Update October 2018: The owner of copyright.in, Objective Concept, disagrees with the comments and accusations and stresses that it operated a useful and legal service. Through its counsel, the company sent a letter to the Indian Government earlier this year, demanding a retraction. Thus far the Indian Government has not responded. “The con­tents is not only defamatory but also violation of International treaty. The contents published on official Government Websites is defamatory, sending misleading, unlawful message to the pro­spective and future clientele of our client. Please note that our client suffered huge financial losses. We hereby called upon to remove the unlawful notes for all your official records and official web-site, you are also liable to pay for damages and business loss to our client for publication of defam­atory text on official website, for sending false and illegal message to the prospective and future customers of our client. We request you to kindly comply with the same or face the civil and criminal legal action as per law,” the company’s lawyers write.